The official Brexit date is approaching, and small and medium sized businesses (SMEs) are faced with major risks to their business. Business leaders and experts have lobbied the UK government repeatedly to convince them of the damage that leaving the European Union without a deal in place will do, but the number of countries preparing for this scenario is increasing daily. A no-deal Brexit scenario is now a very real possibility, and one that will only become more likely the longer parliament remains unable or unwilling to break the deadlock. If you are a UK SME which trades with the EU, now is the time to begin preparing – here are the top 5 risks that a no-deal Brexit could cause to your business, and how Galvin International can help you to manage them. 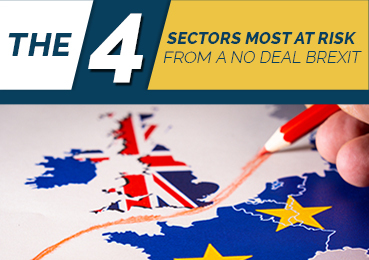 It’s an unavoidable and well documented fact that UK companies are likely to suffer major disruption in the event of a no-deal scenario – for importing as well as exporting. Companies across sectors are beginning to stockpile goods, either in the UK or overseas in the EU, but this is simply not sustainable as a long-term measure. We’ve seen a significant increase in SMEs coming to Galvin International enquiring about establishing a legal entity within the EU, so that they can continue to trade within the Single Market without the disruption that other businesses will face. Time is of the essence here – a legal entity abroad must be established and ready to hit the ground running as soon after the Brexit date as possible. 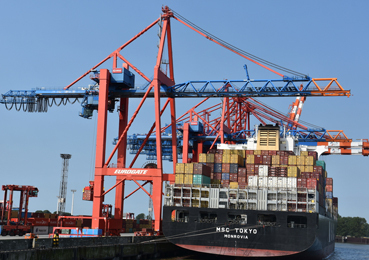 Many SMEs still do not have an adequate level of knowledge about what a no-deal scenario would mean for the tariffs they pay on EU exports and imports. Neither are they aware of the future trading documentation and procedures that they will need to comply with. Similarly, most SMEs will have their accounting and finance function in place to cover the current VAT system that applies across the EU. If this system undergoes a sudden change overnight, even if the changes are designed to be as minimal as possible, it will still lead to disruption and delays to companies’ cash flow. Businesses who import and export goods to and from EU27 markets must consider how this will affect their operations. The status of EU national in the UK has been one of the single most contentious issues surrounding Brexit – we have already made our thoughts known that the government’s temporary visa plan does not meet the needs of UK businessess. 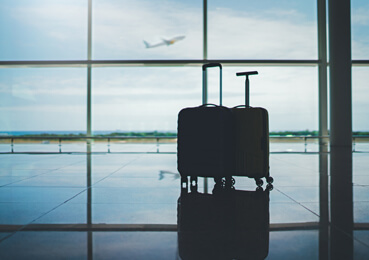 A no-deal scenario would only add pressure to businesses and their EU employees, as the UK would most likely impose new regulations on current and future EU nationals with immediate effect. Last year, businesses across the EU and UK were required to comply with GDPR – the new regulation designed to protect the personal data they held. If the UK leaves the EU without a deal in place, GDPR will not cease to apply – the Data Protection Act 2018 would remain in effect, and the EU Withdrawal Act would also incorporate GDPR into UK law. However, it will then fall to EU law whether businesses within the EU can lawfully export data to the UK – as the UK will be classified as a ‘third country’. Businesses who rely on data from the EU will need to carry out a review of their data import and export activities as soon as possible, to find out exactly how they will be affected, and what contingency plans they need to put in place. With the government failing in their duty to provide adequate information, businesses must look elsewhere for the information, expert advice and practical support that they need to navigate through the choppy waters of a no-deal Brexit – that’s where Galvin International come in. Whether your business is looking for the best strategy to protect and secure your EU employees, or wants to set up an overseas entity in the face of supply chain disruption, our team of experts can help. We work with your business to create custom strategies for overseas growth, and provide practical support with on-ground implementation – but businesses must act quickly, as the disruption they face will only become more serious as the Brexit deadline approaches, and their time to respond runs out. Get in touch today to find out how your business can prepare itself against the risks of a no-deal Brexit.